Setting up for a Falcon 9 double header, SpaceX successfully conducted its second Static Fire Test of the week on Thursday at California’s Vandenberg Air Force Base in preparation for an early morning liftoff on Monday with the next ten Iridium-NEXT satellites joining Iridium’s upgraded fleet of low-orbiting communications and ship/air traffic tracking satellites. Earlier in the week, SpaceX test fired a Falcon 9 rocket in Florida involving what will become the company’s third previously flown first stage to make a second trip into space. Per the original plan, the Falcon 9 carrying the SES 11 communications satellite was to open the double header on Saturday with Iridium targeting an October 9 liftoff; however, an issue will reverse the order of the missions with the re-flight mission out of Florida now targeting liftoff no-earlier-than next Wednesday, October 11. The two missions will be the 14th and 15th flights for the California-based launch provider this year, having already pulverized its previous record for launches in a calendar year. Establishing a steady launch cadence, having a failure-free year and beginning initial re-flight missions were the major goals at SpaceX for 2017 as the company begins to recuperate funds spent on development of its re-usable rocket technology. 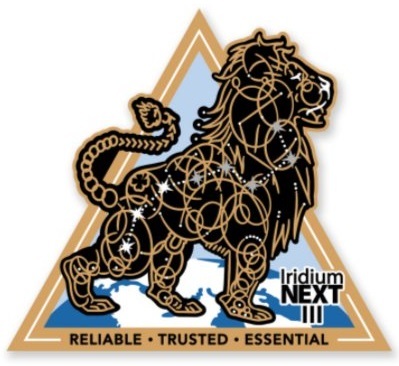 The Iridium-NEXT 3 mission is targeting an instantaneous window at 12:37 UTC on Monday, 5:37 a.m. local time to allow Falcon 9 to drop the ten satellites off in Plane 4 of the Iridium constellation after a recent change in the company’s deployment plans. 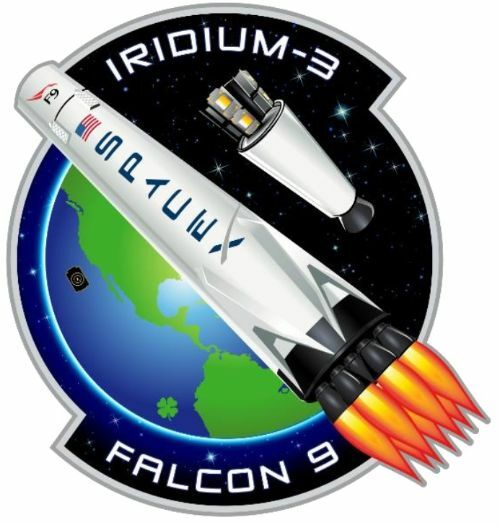 Per the standard Iridium mission profile, Falcon 9 will be in action for over one hour, starting with a first stage burn of just under two and a half minutes followed by the second stage firing for six and a half minutes to reach an elliptical parking for for half a lap of coasting and a brief-re-start to circularize the orbit at 625 km in altitude. After sending Stage 2 on its way, Falcon 9 Booster #1041 will maneuver toward a propulsive landing on the Autonomous Spaceport Drone Ship ‘Just Read The Instructions’ stationed some 244 Kilometers from the launch pad as SpaceX still awaits clearance for returning stages to the SLC-4 launch site. This is the third of eight Falcon 9 missions carrying Iridium-NEXT satellites, the first batch of ten launched in January and has since started operational service and the second group lifted off in June and all its members were declared healthy and are either in operational service or drifting into their slots within adjacent orbital planes. Iridium is currently planning on one more flight before the end of the year, targeting late November, followed by four more missions in the first half of 2018 to complete the most extensive satellite constellation upgrade in history by replacing the entire heritage constellation with 75 upgraded spacecraft. The Iridium replacement comes with a price tag of nearly $3 billion and calls for the replacement of the entire 66-satellite Iridium constellation, much of which had been in place since the late 1990s. With Iridium-NEXT satellites going into service, the company has begun to move old Iridium satellites, either deboosting satellites that are at the end of their lives to accelerate their orbital decay or relocating spacecraft that remain in good condition into storage orbits to remain available as spares until the replacement is completed next year. Iridium opted to put its satellites on all-new Falcon 9 rockets, with seven dedicated launches of ten satellites each and one ride five Iridium satellites will share with a pair of GRACE Follow-On Satellites, a joint German-U.S. mission taking detailed measurements of Earth’s gravity field. 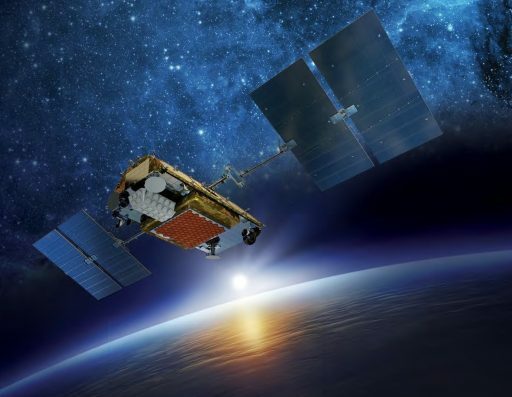 The company hopes to have all Iridium-NEXT satellites in orbit by mid-year 2018 with at least one operational spare in each of the constellation’s six orbital planes, guaranteeing robust, failure-tolerant coverage. 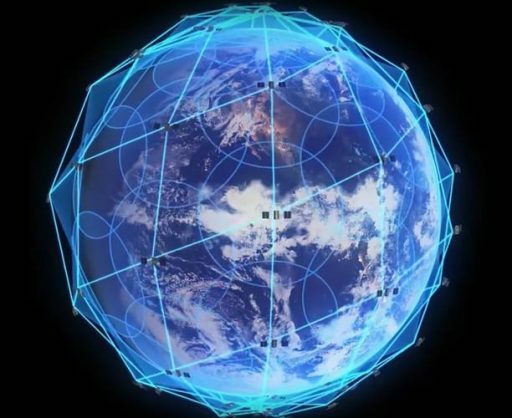 Built by Thales Alenia Space and assembled by Orbital ATK, the Iridium-NEXT satellites also offer space for hosted payloads dedicated to global tracking of commercial flights in real time and providing ship tracking data for the commercial sector. 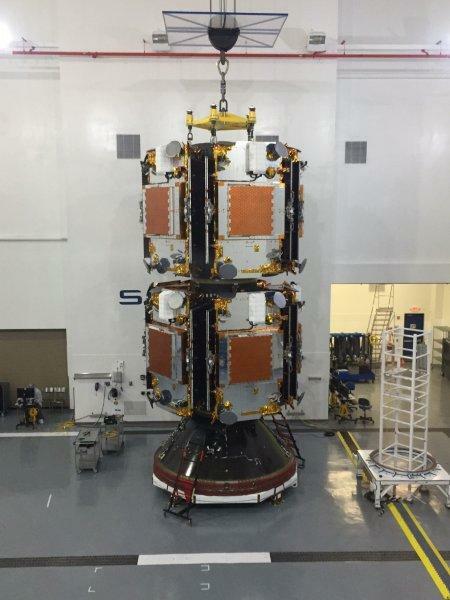 The satellites for Flight 3 shipped out from Arizona to the Vandenberg launch site in August and September with Iridium confirming on September 20 that all satellites had entered final processing at the launch site which consists of final testing, installation on the two-tier payload adapter and fueling each satellite for flight. In late September, SpaceX re-aligned the mission from October 4 to the 9th as processing for the second stage required more time than expected to get Falcon 9 ready to roll out for its Static Fire Test. The two-stage rocket – still missing its payload – rolled out out to its pad at Space Launch Complex 4E and entered an overnight countdown on Wednesday, setting up for the static fire test during a multi-hour window opening at 6 a.m. local time on Thursday. After the early portion of the countdown filled with checkouts and pad close outs, Falcon 9 entered its fully automated tanking sequence at the T-1 hour mark to be loaded with over 500 metric tons of sub-cooled Liquid Oxygen and chilled Rocket Propellant 1. New Falcon 9 rockets enjoy a shorter static fire than previously flown boosters, lasting just long enough for all engines to reach operational conditions to collect performance parameters for start-up. 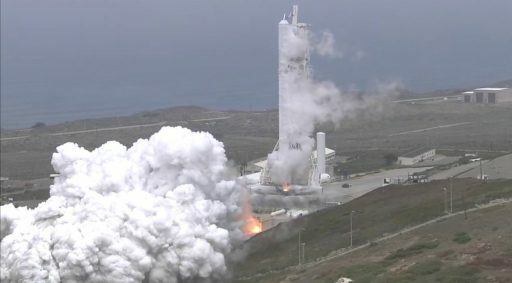 SpaceX confirmed the completion of the Static Fire test at 13:31 UTC, indicating Falcon 9 reached the planned 3.5-second burn duration and all required performance parameters were captured for in-depth reviews over the coming days, leading into the Launch Readiness Review. With this major pre-launch milestone out of the way, Falcon 9 is expected to return to the pad-side hangar where it will meet its payloads in preparation for rollout on Sunday to set up for the pre-dawn liftoff on Monday. 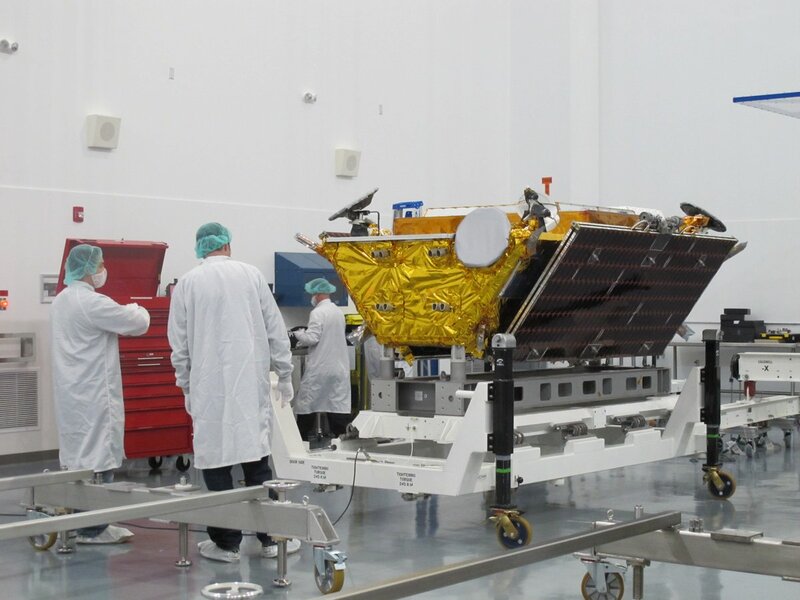 Pending their successful arrival in orbit and good post-launch checks, the entire L3 group will spiral up into the operational 780-Kilometer orbit in Plane 4 of the constellation. Per the revised Iridium deployment plan, L4 will target Plane 2 with eight going into service there and two drifting over to Plane 1. L5 will target Plane 1; L6 – the shared ride with GRACE will aim for Plane 6; L7 heads into Plane 5 and the final mission will lift its satellites into Plane 3 with two drifting to adjacent planes. Copyright © 2019 Falcon 9 – Iridium 3. All rights reserved.